- Can be laid in continuous pattern or herringbone. 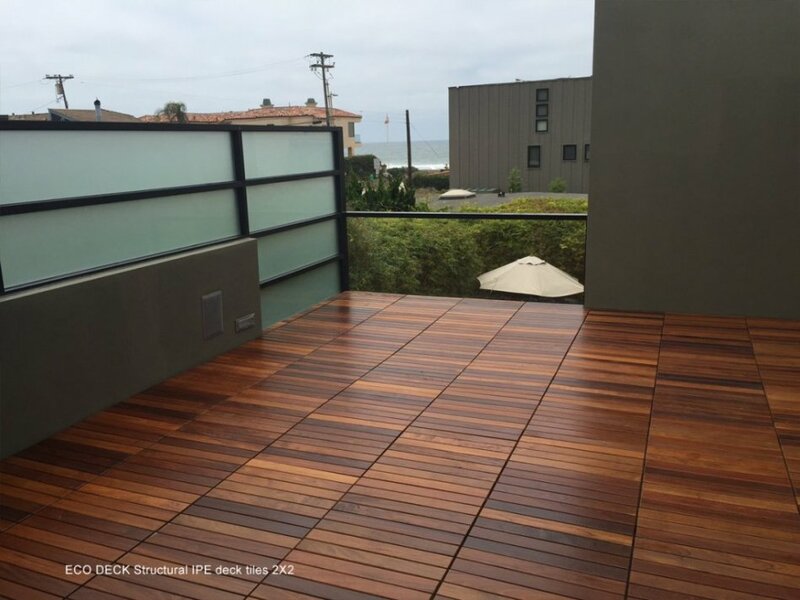 Our hardwood deck tile pavers are commercial grade in every way, yet they perform with the luxurious beauty you would expect from a hardwood deck. 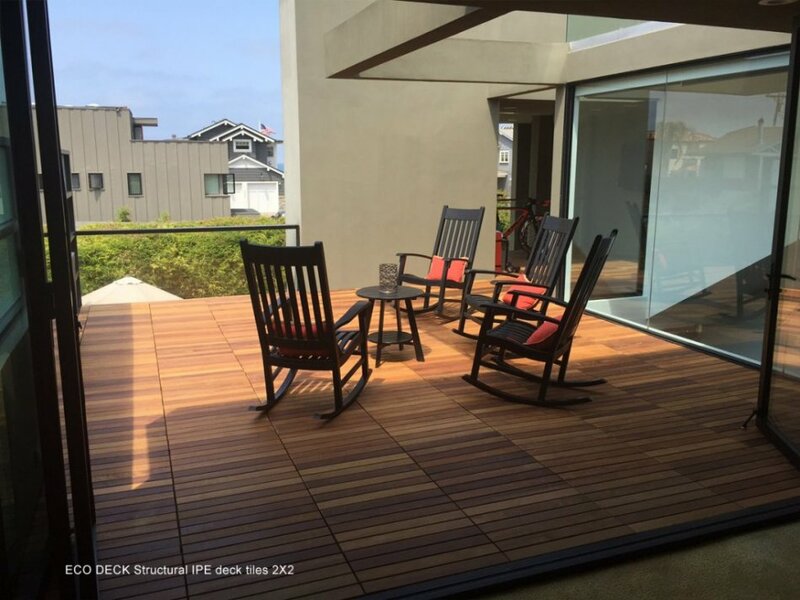 Our structural hardwood pavers are made in small batches of production, creating one of the best modular deck tiles in the business. 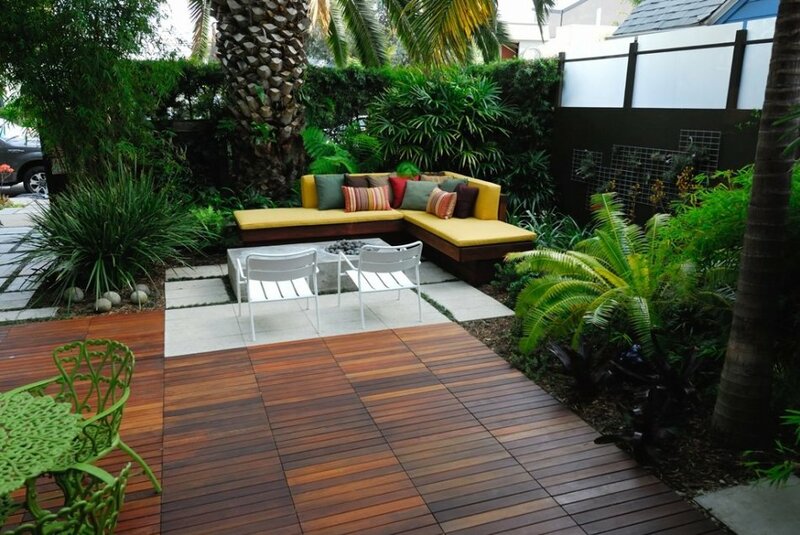 Homeowners and designers can be rest assured you wont find a better quality deck tile system. Eco Arbor has been using the same production fascility for over 12 years running, creating some of the most unique certified hardwood products in the business. By using a superior quality air dried lumber our deck tiles will last longer with a better looking end result. 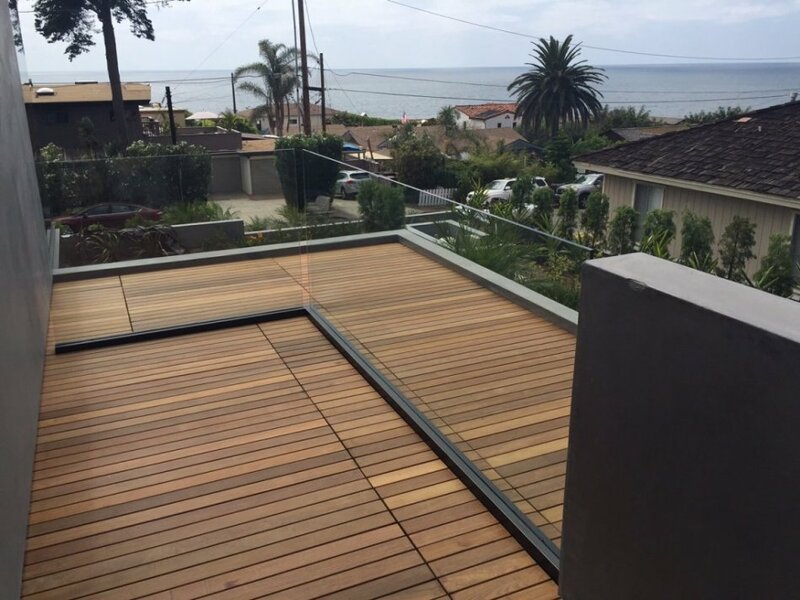 Our structural deck tile system can be treated with penetrating oil sealers to enhance the natural color of the wood, or left untreated for a natural yet distinguished silver gray patina. Surface finish Ends waxed with paraffin. Structural Ipe tiles installed on a pedestal system essentially rely on gravity, tight spacing between the tiles and tight containment around the perimeter to keep the tiles in place without movement. 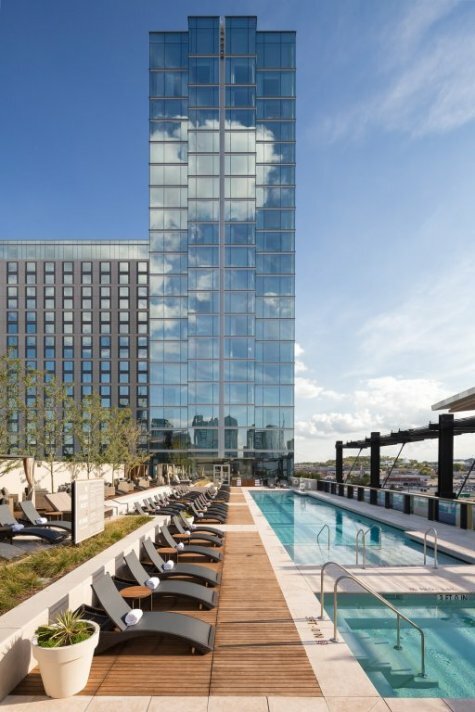 The open joint space between the slats on the tiles allows wind to flow above, below and around the deck surface, which also tends to reduce uplift forces somewhat. For each configuration, the wind speed was increased in 10 mph increments until either blow off occurred or the maximum wind speed of the Wall of Wind facility (approximately 150 mph) was reached. Whilst the full Wall of Wind test report should be consulted for details of both the test procedure and results obtained for each set of variables, it was found that the wind speed at which blow off of Architrex 24” x 24” structural Ipe wood tiles installed on fixed height pedestals at 0° wind angle and with a 12″ parapet was 130 mph. Note that no washer and screw assembly or any other fixing devices were used to hold down the tiles onto the pedestal heads in the tests conducted. The Wall of Wind report and associated test results should not however be construed as providing or implying a guarantee or warranty of any kind by Architrex, including but not limited to warranties of merchantability or fitness of structural Ipe wood tiles for a specific purpose. None of the information contained in this report is intended to substitute for the engineer’s, specifier’s, architect’s, builder’s or contractor’s own analysis, investigation, and due diligence regarding the appropriate choice, application and installation of structural wood tiles on fixed or adjustable height pedestals in any particular location or application, which is not the responsibility of Architrex. The full test report is available on request from Architrex on the strict understanding that it is provided for the exclusive use of the recipient. No reproduction or transmission by facsimile, email or other electronic means is permitted without specific permission being granted by Architrex . 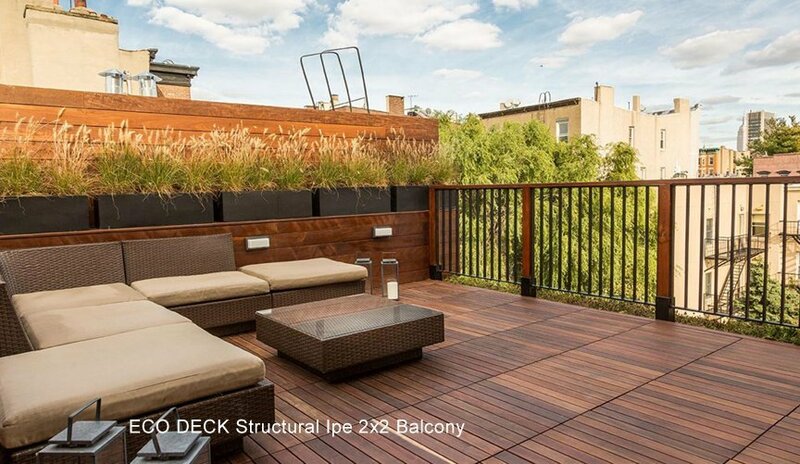 Hardwood deck tiles in the species Ipe, Oak, Masaranduba and similar can be used virtually over any surface. Ground level areas the pavers can be used just like a regular stone paver and set into a sand bed. Or used over ground level concrete pads, in much the same way paving stones are laid out. The sand bed shoudl have perimeter containment and a layer of granit and sand mix of which is level. Begin placing each tile on the sand bed closely abutting each tile to the one another. Once finished wet down the area and let settle. 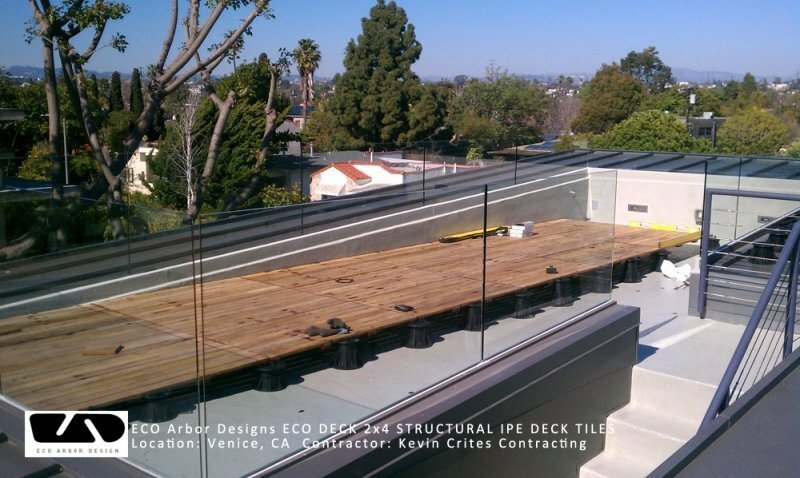 Above living space areas such as terraces and roof decks, the pavers can be installed directly over the surface using our deck tile connectors and weather stripping tape. The tape is cut into squares and laid under the deck tile connector see photo below. Once you have your layout of the deck configured you can begin laying your first tile. Using the deck tile connectors and plastic shims if needed the entire deck will begin to be installed very quickly. Moving from one tile to the next push the tiles down on to the corresponding plugs on the deck tile connectors. This will fasten all the tiles together creating a deck tile system that is essentially one piece. Lay all the field tiles out (any tiles not on the permimeter working row by row until every field tile is placed. Then begin installing the perimeter tiles, one by one. 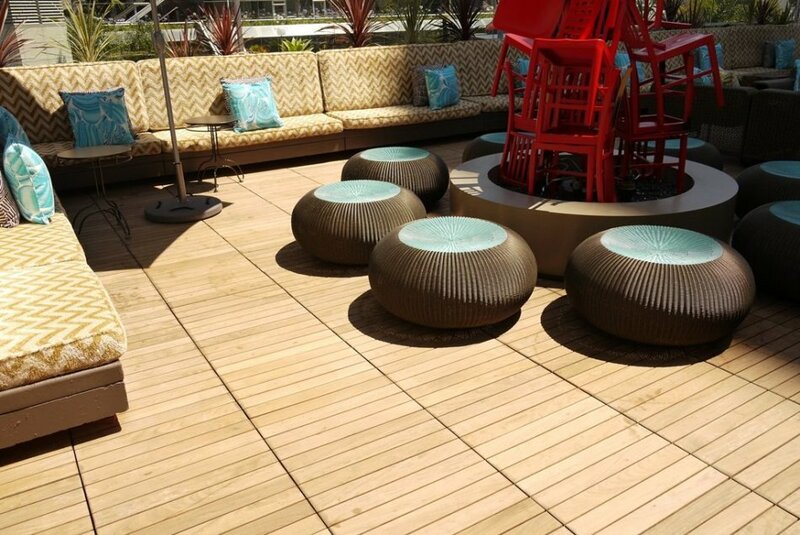 Hardwood deck tiles work very well for raised floor pedestal applications. We use the Elmich adjustable pedestals as seen in photos. The reason we use the Elmich pedestal is because not only is it a very easy to use and robust system, but the wood fastening kit used on top of the pedestal is the very best fastener in the business. The fastening lock sits on top of the pedestal and allows the four corners of the tile to lock together. This creates a tight bond between each corner of the tile. You can also loosen the connector to remove tiles if necessary very easily. 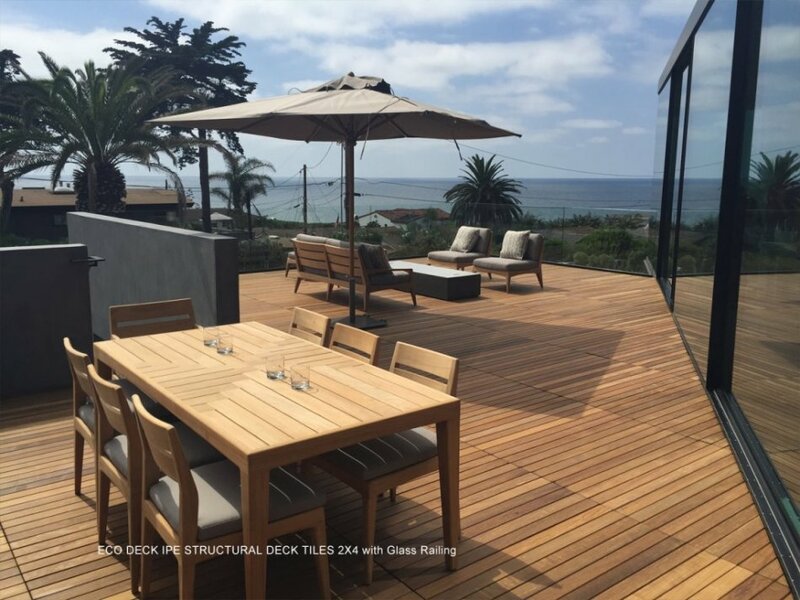 Purchase an used Structural Wood Deck Tiles for only $46.00*.